Endeavour image ©HM Bark Endeavour Foundation Pty. Ltd. The Endeavour is docked at the The Australian National Maritime Museum in Sydney. ...for a distinguished SCIENCE FICTION or FANTASY BOOK written by a Pacific Northwest author or authors and published in the previous year. The award represents a collaboration between writers and fans of Science Fiction and Fantasy to encourage the growth of literature in the field and recognize works of excellence. It is named for H.M. Bark Endeavour, the ship of Northwest explorer Capt. James Cook. The award is announced annually at OryCon, held in Portland, Oregon. The 2019 award will be presented November 8, 2019. The award is accompanied by a grant of $1,000. Please note that the deadline is two weeks earlier than in the past. 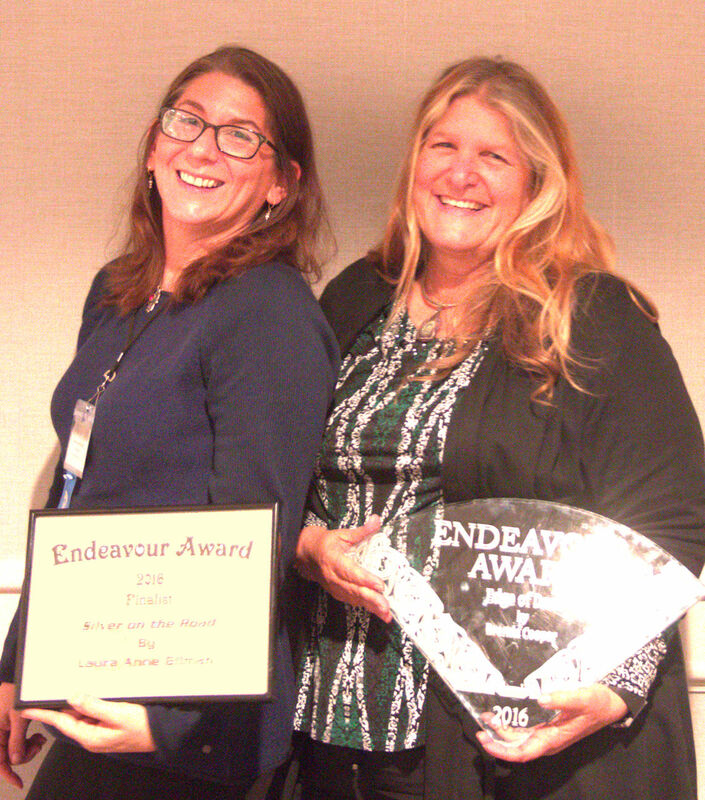 Left: Laura Anne Gilman, 2016 Endeavour Award Finalist. Right: Brenda Cooper, 2016 Endeavour Award Winner. which also sponsors OryCon and other conventions, the Susan Petrey Clarion Scholarship, and the Jo Clayton Medical Emergency Fund.